Aquarium Lab allows you to keep track of you aquarium like a scientist, no degree needed. The program is built for easy data entry, and supports multiple fresh and saltwater aquariums simultaneously. 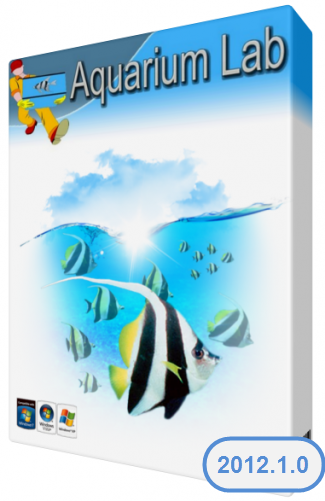 Aquarium Lab is a complete aquarium tracking software package for Windows XP, 2000, and NT that will help you maintain healthy aquarium conditions. The program encourages you to record water quality parameters, by making this information easy to Be entered. The program then does the calculations and graphing for you automatically making it easy for You to interpret test kit results, and analyze your aquarium water chemistry. You can log and graph 21 different chemicals, including pH, Temperature, Alkalinity, Ammonia, and Calcium. You can also schedule partial water changes and observe how much wastes remain at the end of the water change. Aquarium Lab encourages you to keep a profile of each living Fish, Coral, Plant and Invertebrate in your tank. Including a photo, date purchased and dietary habits. The program supports multiple fresh and saltwater aquariums simultaneously. Detailed reports are generated in html format. Aquarium Lab encourages you to enter the aquarium’s physical measurements. The program then calculates the aquariums weight and volume. Aquarium Lab encourages you to enter the wattage of your aquarium devices. The program then automatically calculates power consumption and Costs of operating the device for 1 day, 1 month and 1 year. For each one of your aquariums find out how much it costs to operate the pumps, lights, and electric devices.